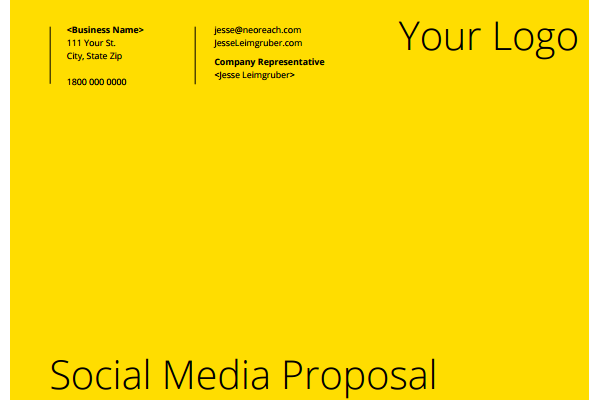 Your proposal speaks about you, your company and the quality of services you are offering. 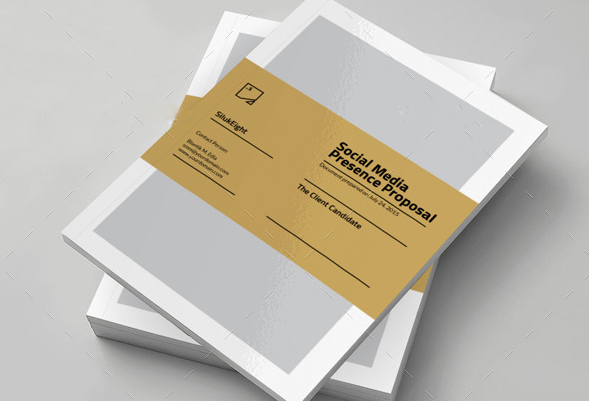 Considering a number of significant elements while crafting the proposal, you can not only obtain a business, rather can keep all social media activities in a natural flow. Here are the compelling proposal or planning templates listed for your guidance. Using any one of these will definitely take you in the right direction of winning a new client. 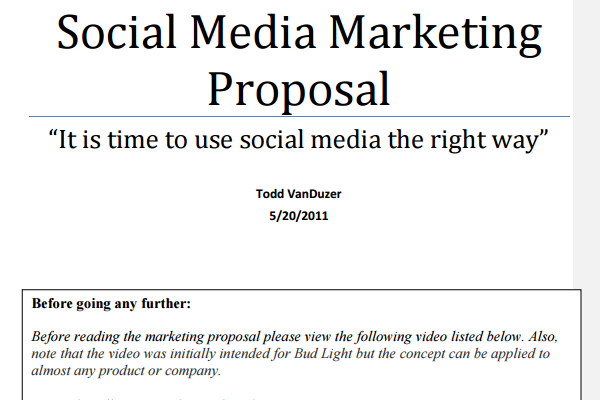 This social media proposal template is a simple one with everything very explicit. 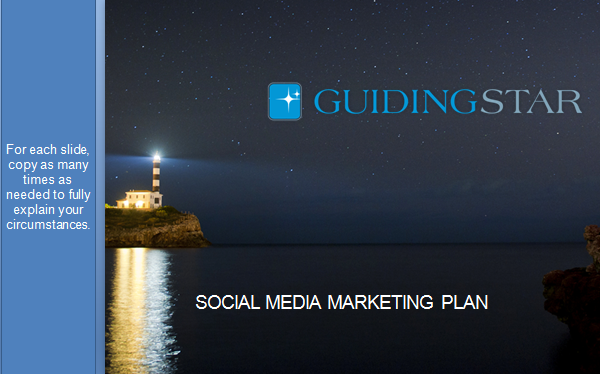 The objective is clearly mentioned to specify what would be the final goal of social media marketing. The detailed work flow is mentioned in the sub-heading of Method. And to give client further elaboration, samples of every phase are provided as well. The samples include proper screenshots to make everything crystal clear. This template is an ideal one for small business. A very appealing design that can be printed out as well. 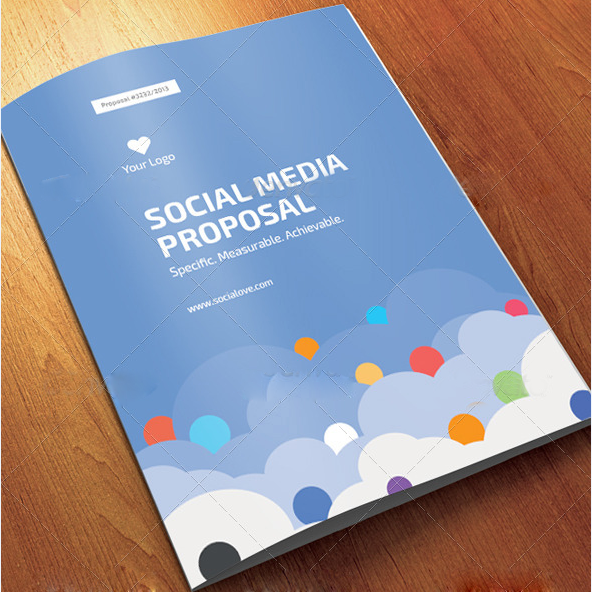 This social media proposal is enhanced with the smart selection of colors and design features. It embodies an elegant cover. Moreover, About Us section defines about the background of agency. It also clearly mentions about the steps that will be taken to carry social media campaign. What are the real objectives of campaign, detailed activities involved, timeline and cost estimation as well. This is another customizable template for small business that is furnished with elegant color scheme. Everything is made quite simple to edit and amend as per your own requirements. 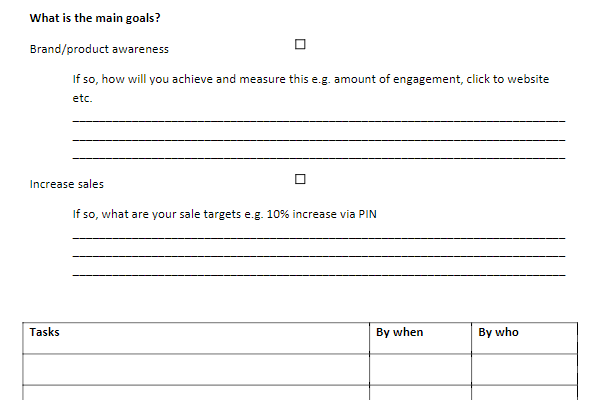 You can easily specify about your social media goals, objectives and tools to be used in project. It features portrait format with customized colors. This will definitely give you an edge in securing a potential client. 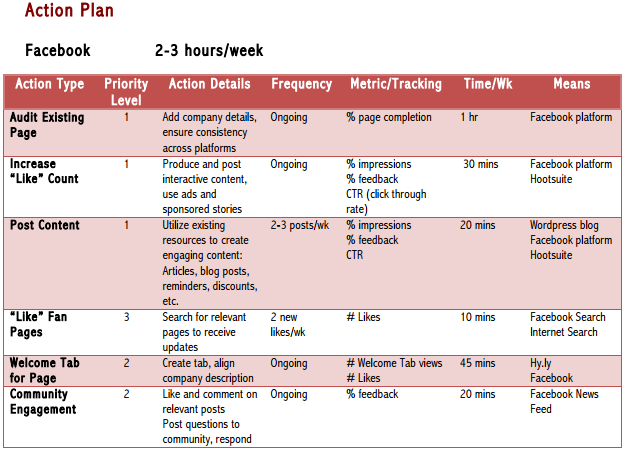 A very creative social media plan template that can be edited as per your target business. The template focuses on the RACE approach, i.e. Reach, Act, Convert and Engage. With a lucrative style, this approach is used to elaborate every phase that how you can achieve goals and objectives. 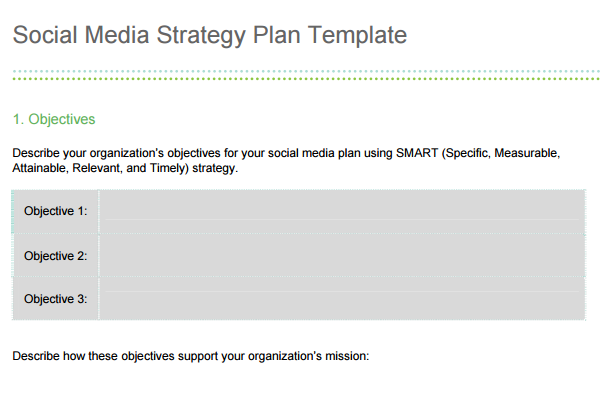 This template is designed with a focus on defining a company’s social media strategy. 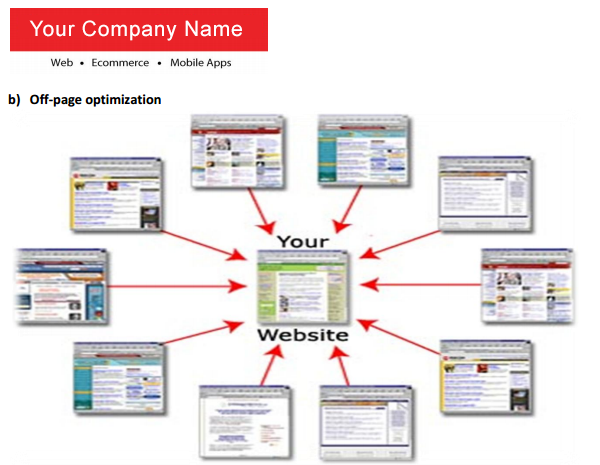 But it can be customized to give a touch of proposal in order to acquire a new business. A complete overview of company is presented in the start by defining its mission, vision and objectives. 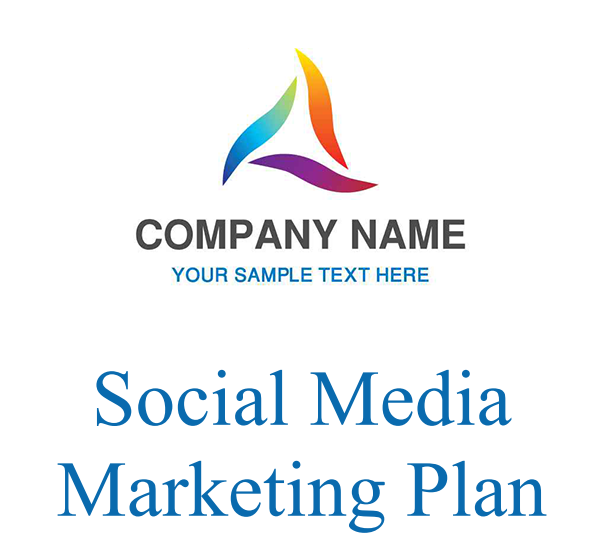 Moreover, how a company is going to carry out a social media plan, what will be the general strategy to achieve goals and details about target audience; all these elements are properly described. Further, you may add a cost or product estimation as well. 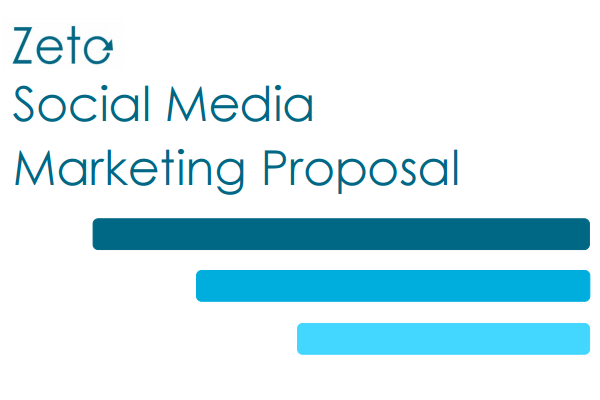 With this social media proposal, you can design a complete digital marketing plan/proposal. 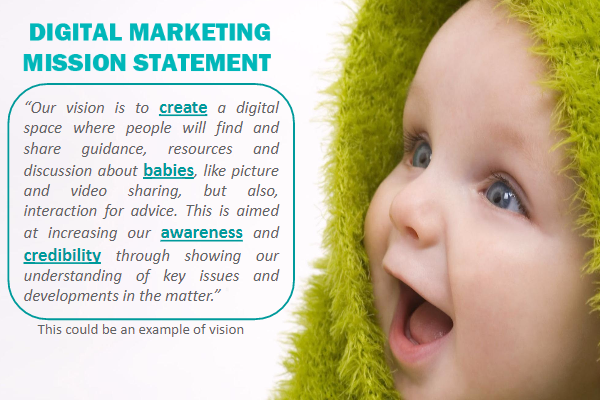 And if you are covering only social media strategy, omit other things and focus only on social media plan. With the help of tables, the plan clearly specifies about Social Media Marketing platforms, target audience, the key team members involved in that particular activity. 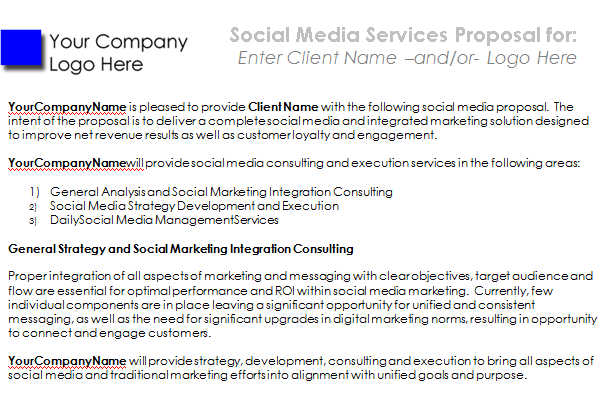 This is another creative way to present a proposal to your client/small business with an in-depth analysis of social media strategy. In the start, it is mentioned that what is asked by the client to maximize. 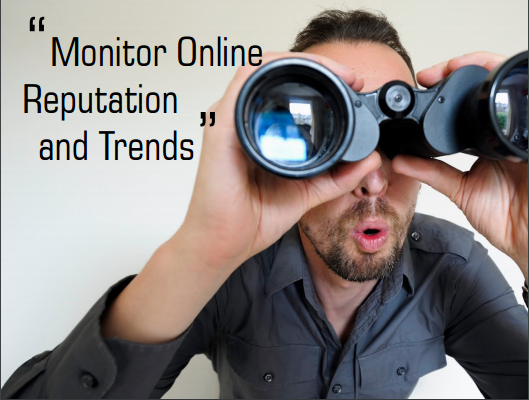 Then, long term objectives of an agency/freelancer can be provided for more insights. A complete strategy with tools to be used, tactics, time frame, targets, responsibilities and objectives are defined in a creative manner. 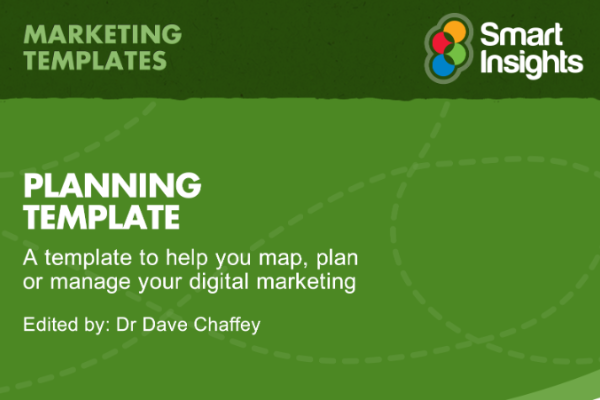 With a simple design and little graphics, the focus is on explaining every phase in detail. 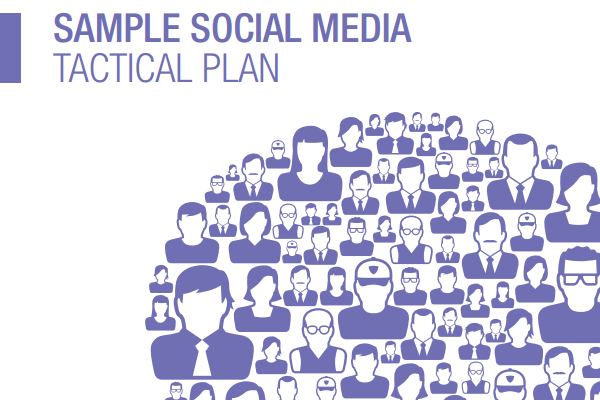 This is in actual a social media tactical plan. You can customize it with more add-ons to make it a compelling proposal for the client. 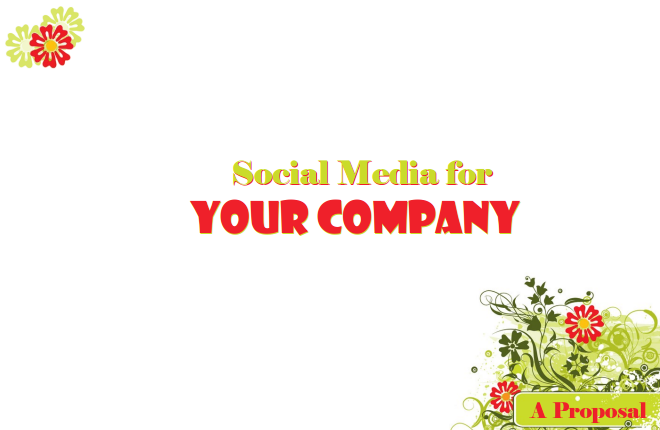 What are the objective and what action will be taken to achieve results on every social media channel – it is elaborated with the use of simple screenshots and fonts. It is a very simple proposal template that addresses a client to specify about the services your company will be providing. 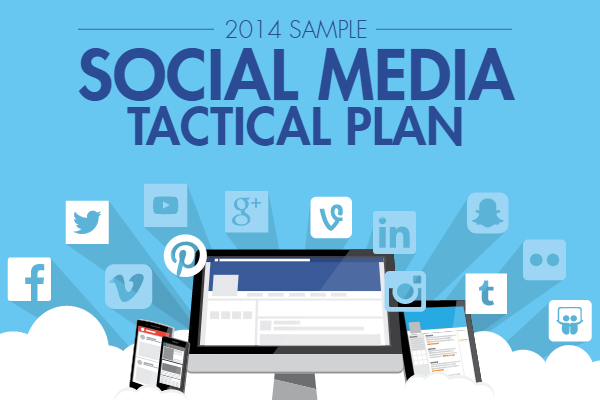 A general social media strategy alongside the execution plan is included. This one is a power point presentation with a great selection of slides. With the whole campaign proposal, the background of social media, target audience, marketing channels and activities, social media campaign sample; all are presented in a concise manner. Performance metrics to monitor and track the success. With this template, you can have a handy power point presentation to be customized for your company. Very decent slides with concise text that can be edited easily to include details as per your demands. 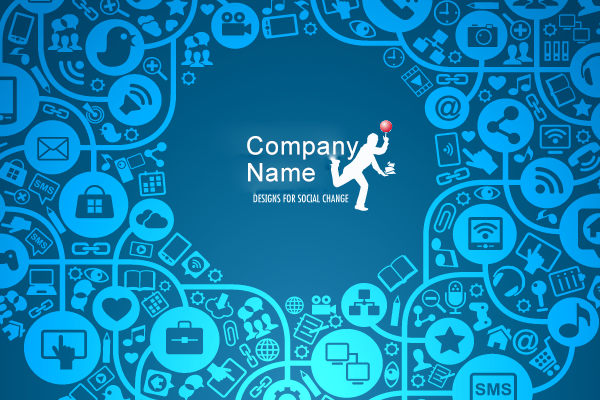 How the company can help the client in achieving social media goals? 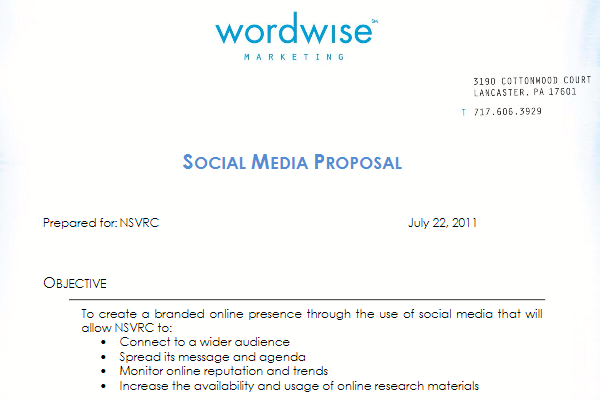 This is another a basic kind of social media proposal template that can be customized only for social media marketing. It clearly states the significance of social media marketing and services related to it. A complete pricing criteria is also provided in tabular format to make everything clear.